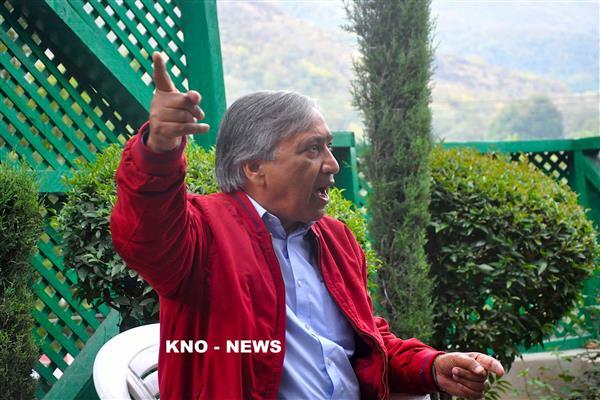 Yasin Khan leads Kashmir Inc protests. 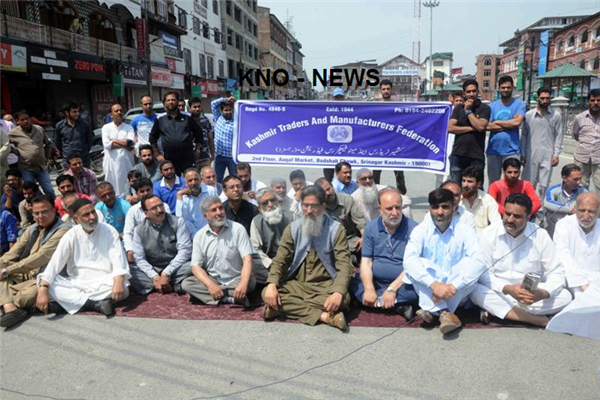 Srinagar (KNO) : The Kashmir Economic Alliance has said that the sole peaceful solution to controversy surroundings attempts to the abrogate Article 35 A is that the case is dismissed. 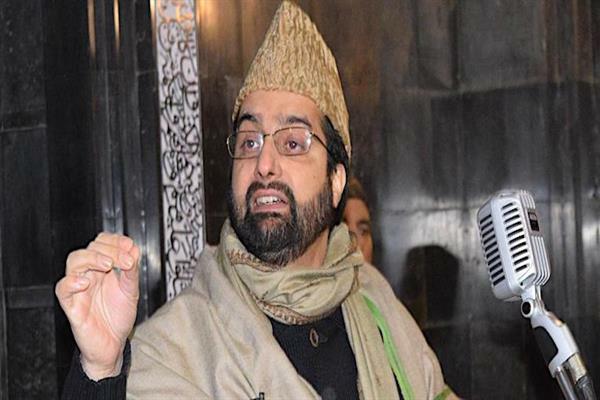 In a statement issues to (KNO) said the Chairman of KEA Mr Haji Muhammad Haji Yasin Khan Khan, who also heads the Kashmir Traders and Manufacturers Federation ( KTMF ), said this during joint protests with Transport, Federation Chamber of Commerce and Industries,Auto Rikshaw Association and others in the KEA, in Kashmir’s commercial hub of Lal Chowk. Khan said the Article 35A and 370 safeguard the interests of the people of Jammu, Kashmir and Ladakh who enjoy special status. 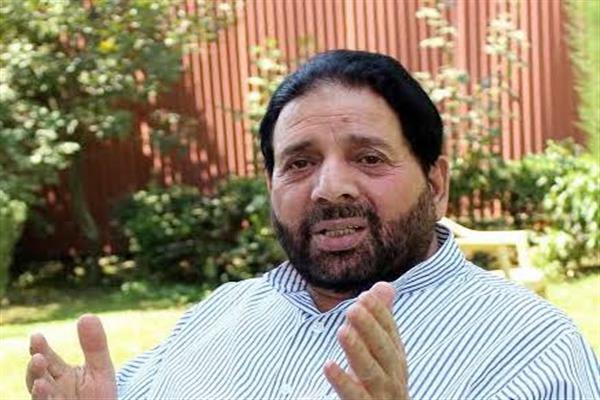 He said revocation of Article 35 A will mean that people of all the three regions will lose their share of all resources in the state including jobs and land. “People of this state will end up as being another Palestinians whose land will be taken away by outsiders. We all will lose our identify. Collective and individual,” he said. 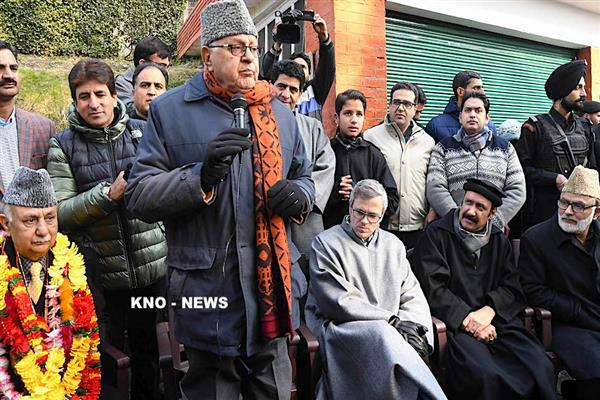 Given the prevalent uneasy situation in Kashmir, Khan appealed Prime Minister Narendra Modi to ask his government to seek dismissal of the case as had happened twice in the past when similar attempts were made to alter the laws. “Let New Delhi make efforts for improving the situation and not festering the prevalent crises any further as any such attempt will prove catastrophic,” Khan said. Stating that the business fraternity was willing to sacrifice everything for the safeguard of Article 35 A, Khan said any attempt to even tinker with the twin laws of Article 370 and 35 A will drag the region towards a catastrophe and the onus of which shall lie on New Delhi alone. “People of Kashmir are peace-loving and want restoration of sustainable peace so that every sector of life including business community prospers but if our existence is put at stake we won’t shy away scarifying everything,” Khan said. He appealed the Indian political mainstream and the civil society to come to the rescue of the people of the Jammu and Kashmir. He also extended full support to the protest program given by Joint Resistance Leadership.